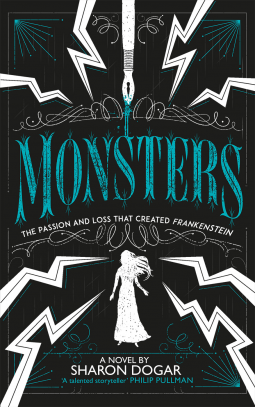 Today, I'm really excited to have Sharon Dogar stopping by the blog to discuss Monsters, her retelling of Mary Shelley's life. Read to the end for a giveaway of an proof of Monsters (which was sent to me for free by Andersen Press for the purposes of providing an honest review). Can you tell us a little about Monsters? What kind of a retelling of Mary Shelley’s life is it? 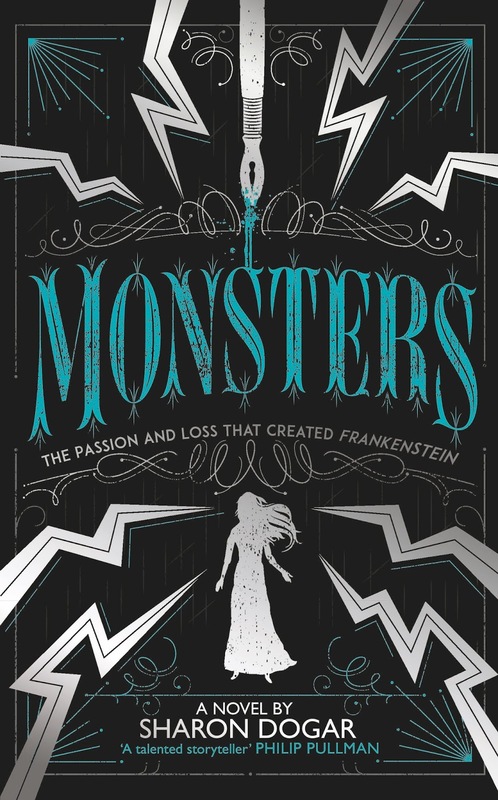 Monsters is a retelling of Mary’s life from just before she met the poet Percy Bysshe Shelley (aged 16 in 1814) to the publication of her own novel Frankenstein in 1820. In these few short years Mary and her step-sister Claire, eloped with an aristocratic atheist poet, became unmarried mother’s and flirted with the idea of poly-amory. Monsters follows Mary and Claire as they try to understand what it might mean to be intelligent, radical young women who refuse to conform to the early nineteenth century idea of what a woman should be. There were other women at the time, such as Jane Austen, who challenged the status quo, but she did it secretly, where Mary and Claire made public their beliefs, and in consequence were both ostracised and ridiculed. Why Mary Shelley? What drew you to the life of this classic author? And what inspired you to retell it? For me the question is more: why wouldn’t you want to write about Mary Shelley. Her story is extraordinary. She was born of William Godwin, radical philosopher, and Mary Wollstonecraft, known for writing the first feminist treatise, A Vindication of the Rights of Woman – asserting the right for women to be both educated and enter into relationships free of marriage. Mary Wollstonecraft died when Mary was only ten days old, and though her life begins tragically, her father raised her to believe that she could match her mother – if not supersede her. To Mary her father was everything – and yet when she follows her mother’s beliefs by beginning a relationship outside of marriage with Sir Percy Shelley, her beloved father rejected her. Mary had a choice; should she submit to her father, or would she leave behind everything she has ever known to follow her own principles – and the love of her life. I wanted to explore what it felt like for a teenaged girl to have to make this choice, and then to live with the consequences of it. I also wanted to explore the person Mary behind the idea that we have of her – not only the brilliant nineteen year old, who wrote Frankenstein, but why she wrote it. What monstrous things had happened in her own life to result in the creation of her own monster. What do you bring to the story of Mary Shelley’s life with Monsters? Discovering some of the reflections of my own life in Mary’s was a surprising part of the process of writing this novel. We both met the love of our life aged sixteen, and we both had to defy our fathers to maintain the relationship – although I was lucky enough to have a father who did not reject me. We both became pregnant at a relatively young age and experienced both birth and loss with our first child. 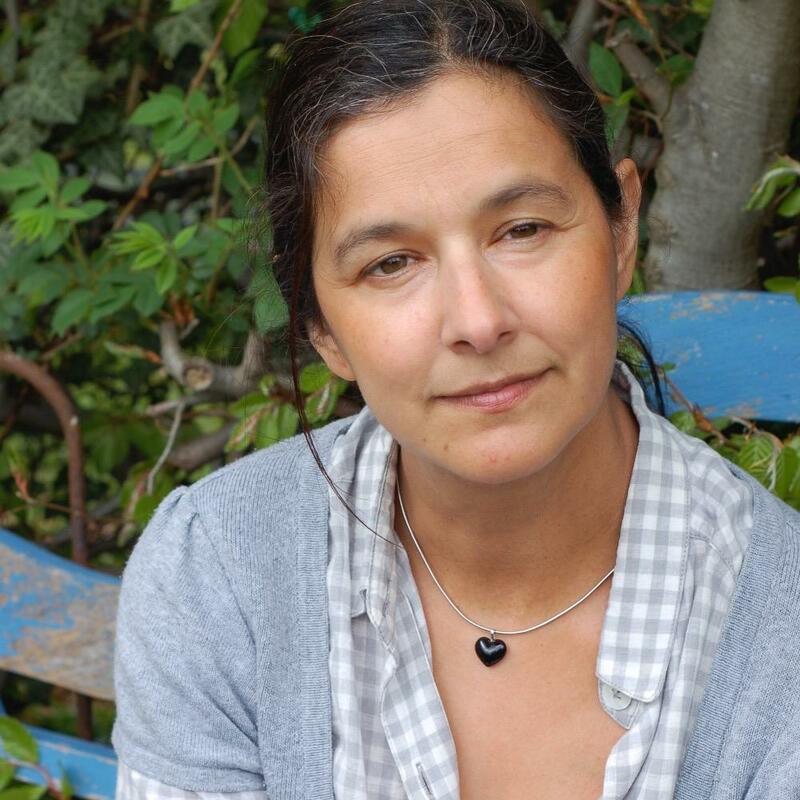 My own experience of existing both inside and outside of two worlds - as a young mixed-race woman - helped me to understand a little of what it might have felt like for Mary to be found unacceptable by society. That said we differ hugely in many areas – perhaps most obviously in our intellectual capacity! In the modern day there is far more sympathy for the choices we make around partners, cohabitation and poly-amory; that is partly due to suffering of women like Mary Shelley and her mother. How does Monsters differ from other retellings of Mary Shelley’s life out there? I think Monsters tries to get behind the notion of Mary as more than just an intellectually brilliant young woman. I tried to write about the very real struggles that she went through, and how surviving them made her the woman we all admire today. I was also interested in her relationship with her step-sister Claire – so often the ignored/invisible woman in Mary’s story. What I found was that she was actually a vital part of Mary’s development. She supported her relationship with Shelley, and made their elopement and journey together through France possible. I was interested in why Mary worked so hard to write Claire out of her story. What emerged was the story of Mary as she struggles to live out her dreams, ideas and hopes alongside the more painful reality of life with a poly-amorous poet. In a way, that’s also, at heart, what Frankenstein is about. An idea that becomes a terrible reality, that then has to be lived through. Were there any difficulties in tackling a retelling of a historical person’s life, over writing an original story? Anything that was easier? There are so many differences I hardly know where to begin. In a re-telling the plot line is ready-made and that’s a tremendous help, but also, of course, a terrible tie. There’s an incredible freedom in writing an original story, you have an idea, a vision of a person or a place that you follow at will, never knowing what might come next. It’s exciting and nerve-wracking. Will the story still be there tomorrow, waiting for you – or might it have disappeared? 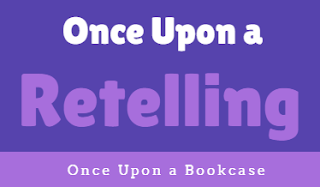 With a re-telling you have to work at bringing the story alive. Over time the research begins to settle into you. The character begins to speak, the gaps between the historical facts become compelling, what if this happened – or that? How about if? Yet you are constantly reigned in by the reality as presented by the historians, aware you must respect the facts, as they are known. There’s more of a tension between two forces in a re-telling. I have to say that I love both ways of writing. What do you hope readers get from Monsters? Well my main hope is that they enjoy the story. That always comes first for me. There are so many women in the world - and here - still facing the difficulties that Mary faced, in societies where they have no choice of partner, or freedom to think. If the novel provides a small sense of how one woman made the effort to defy that - and of how brilliantly she succeeded - despite the cost - then it will have been worth the effort. And perhaps along the way readers might notice how very similar we remain, despite the difference in time - and so can learn from the past and keep her legacy alive. Maintaining that tension between historical fact and the making of a story. Feeling both affection and frustration for the people you are writing about in equal amounts - which helps to prevent the characters becoming unreal. Are there any retellings you would recommend, either of Mary Shelley’s life, or in general? I deliberately haven’t read any fictional retellings of Mary Shelley’s life, but very much enjoyed Romantic Outlaws by Charlotte Gordon, an historical biography of Mary and her mother. I’ve just read Marlon James' The Book of Night Women, a re-telling of Jamaican slavery – sheer, unadulerated brilliance. For younger readers I’d recommend Nightjohn and Sarny by Gary Paulsen. Thank you for reading the book and asking me to talk about it. There are so many wonderful books out there that it feels like a miracle whenever someone chooses to read a book of mine. So thank you to every reader who picks it up and gives it the chance to exist in their mind, as well as in mine. Thank you, Sharon, for such fantastic answers! I have already read Monsters, and I can tell you, it's absolutely incredible! Such a heartbreaking, but inspiring story! I absolutely loved it, and can't recommend it enough! Read my review. Be sure to follow Sharon on Twitter, and check out Monsters, which is out now! And read on for the giveaway! Told from Mary and Claire's perspectives, Monsters is a novel about radical ideas, rule-breaking love, dangerous Romantics, and the creation of the greatest Gothic novel of them all: Frankenstein From Goodreads. Enter via the Rafflecopter form below to win a proof of Monsters by Sharon Dogar. I request you either enter on behalf of a teen, or pass on to a teen after reading. Giveaway will close on 15th February 2019 at 12.00am. The winner will be chosen via Rafflecopter and announced in this post. I will notify the winner by email. The winner will have 48 hours to reply to my email with their mailing address, or a new winner will be chosen. The email containing the winner's mailing address will be deleted once the proof has been posted, so I no longer have their details. I was interested to read about how an author tackles the retelling of a historical story, I have never really thought about that, so it was interesting to learn about the struggle in keeping to the original story, when you mind might wander to a what if that happened scenario. Although I'd heard of Mary Shelley I knew nothing about her as a woman; the book sounds fascinating! That the author deliberately hadn’t read any fictional retellings of Mary Shelley’s life. this book gives insight into a woman who is an enigma and a mystery! Mary had a step sister named Claire! I didn't realise Mary Shelley had such radical parents!